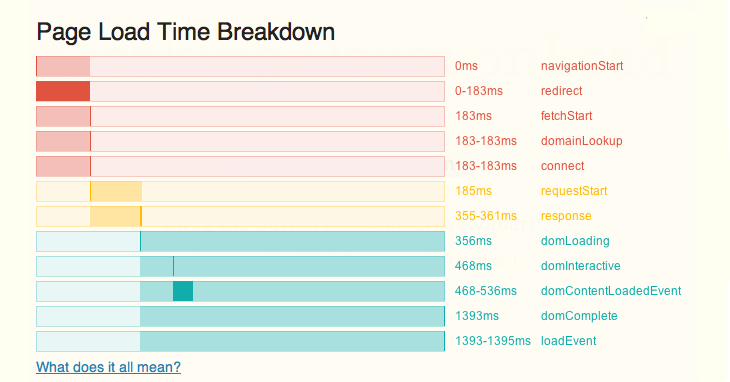 This script uses Navigation Timing object to present timing of different phases of loading the page by a browser. It measures everything from triggering the action (hitting enter on url bar, refreshing page or clicking a link/button) to the moment when site is fully loaded. Adding it to your bookmarks allows you to analyze performance of every request you'd like to check out.